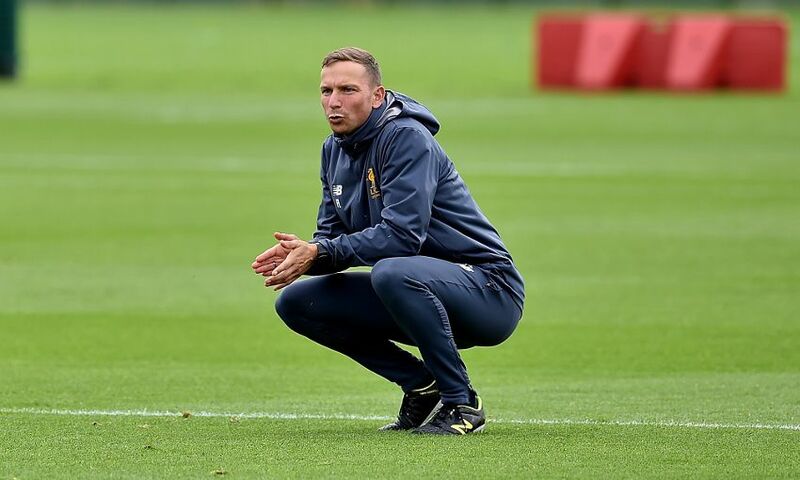 Pepijn Lijnders has left his role with Liverpool FC to become the head coach of Dutch club NEC Nijmegen, with immediate effect. Lijnders joined the Reds in 2014 after spells with PSV Eindhoven in his home country and FC Porto in Portugal, initially taking charge of the U16s at the Academy. He was appointed to the newly-created position of first-team development coach in the summer of 2015 and became a key member of Jürgen Klopp’s backroom staff following his arrival as manager later that year. He now departs the club after permission was granted for the highly-respected coach to take the opportunity with the Dutch outfit, who sit second in the Netherlands’ second tier. “I could write for hours thanking the people at Liverpool who have helped me since I came here and the decision to leave has not been easy,” said Lijnders. “In general terms I would like to thank all the amazing players and staff at Melwood and the Academy at Kirkby, who I’ve been privileged to work with. Also, at Anfield – that is such a special place with special people and I never took for granted going to work at one of the greatest stadiums in the world every other week. “This club is so, so lucky to have someone of Jürgen’s calibre leading its football team – he is world-class, truly world-class and I hope to take many of the great lessons I learned from him, Zeljko Buvac, Peter Krawietz and John Achterberg into my own future leading a side. “Working with the first-team squad was magical. They confirmed every day that everything starts and ends with passion for the game. With the quality this club already has in the building, only time is against this project. “You don’t really say goodbye to Liverpool Football Club, because you will always have to represent its honesty and passion wherever you go. It’s a stamp on your back. 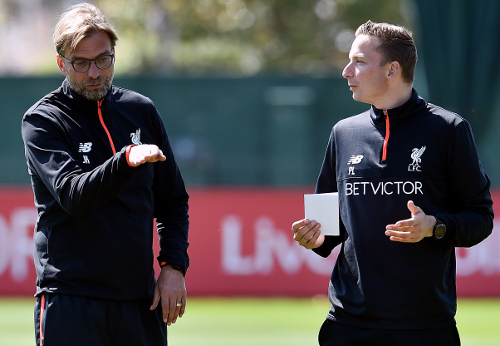 Klopp paid special tribute to Lijnders for the support he has provided to the coaching staff during the past two years, and for the influence the Dutchman had on guiding the club’s young players into the first-team set-up. “It’s such a strange mix of emotions talking about Pep leaving us,” said the Liverpool manager. “Firstly, I am gutted to be losing such a valuable member of our coaching team and such a brilliant person from our group. “But that is tempered by the fact I am very excited for him to have this opportunity and as much as we would have loved for him to remain with us, we cannot stand in his way for what is a fantastic opportunity. “It is hard to undersell the role Pep played in helping us settle, educating us about football life in England and then contributing ideas to the progress and development of this team. “He has such a big football brain, but it’s his willingness to learn and absorb information and always look to improve and be better as a coach that makes him stand out. “Of course, one of his biggest legacies at LFC will be the development and integration into the first-team squad of so many young and exciting players. The role he played in making us aware of these players and then helping us get the best out of them will have a lasting impact here, beyond him leaving. “On the personal side, his wonderful family have also become part of our lives and we will miss them so much.